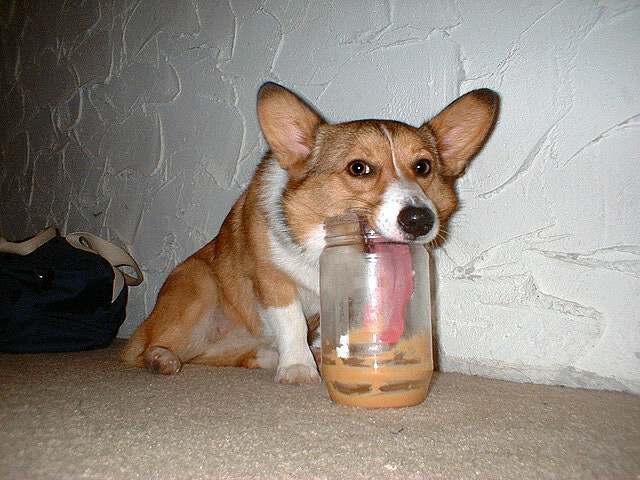 PushDeploy: Op-Ed: Is there peanuts in this peanut butter ????? Op-Ed: Is there peanuts in this peanut butter ????? I'm sorry to take you away from my usual technical babble for this op-ed piece but I'll try to keep it short. Enjoy, and please comment if you have an opinion. "All other duties as assigned". A famous grouping of words that have been sprouting up on employee contracts for many years. As a contractor filling a void, staff augmentation, this clause makes sense as your hired to help wherever the client needs you and your on a finite contract that you know there will be an end if they have you simply boxing computers for shipment instead of helping them with a Windows 10 migration. But for permanent staff, it can be a rude awakening. Now if you ask about why that is in your employee contract you'll probably hear a line or two about how "it won't be enforced", "its just HR mumbo jumbo", or "its just so we won't have to keep renewing your contract every 4 months because technology changes so quickly". Um no, if my duties have changed so drastically that I'm now walking around buildings with a barcode scanner to inventory equipment instead of what I was originally hired as an Engineer on the server team.......its high time we do renegotiate my contract. Lets see an example to demonstrate. Today we have Jimmy who just recently got hired as an Exchange Engineer by Shaft-U Inc. On Jimmy's contract to Shaft-U Inc. was a tiny line under all his Exchange duties that read "And all others duties as assigned". Jimmy thought nothing of this and was happy to work at Shaft-U. After 2 months of employment the Lead Exchange Engineer left the company and Jimmy's boss informed him that he would be tasked with a few extra duties until Shaft-U's HR department would approve the posting of the Lead Exchange Engineer position for hire. Jimmy was excited to step up as this would show his boss that he would be a great candidate for the position of Lead when it posted. A few months go by and Jimmy asks his boss about the posting and he is told that the CxO's decided to transition that open slot into a secretary spot. Jimmy is a little disappointed but no matter, he loves Exchange and sees this as a great opportunity to add some lines to his resume. A year goes by and Jimmy's boss informs him that a LAN Engineer has left Shaft-U and Jimmy has to step up once again to help the LAN Team with some menial tasks like updating firmware on the 5,000 switches, running cables in the ceiling, and mounting new switches into racks. Tasks that will take away from Jimmy's main focus and possibly leave him with little time to do his Exchange work. Jimmy tries to explain to his boss that the entire Exchange environment is on his lonely shoulders and he is overwhelmed as it is but his boss quickly reminds him of his contract that states "All other duties as assigned". Jimmy begrudgingly helps the LAN team. A few more months go by and Jimmy's boss informs him that an Asset Inventory Specialist has left the company and now Jimmy will have to step up once again and place asset tags on all computer equipment and inventory it in the company database. Jimmy now has the role of all Exchange tasks, grunt work for the LAN, and now Asset Inventory Specialist. Jimmy decides to talk with his boss and ask for a raise with all these new tasks he is now an owner of that is beyond what his original contract was for.........the boss quickly shoots it down by showing him the "All other duties as assigned" clause. See, Jimmy is you. When a position goes open on your team, whether it be Sharepoint, Helpdesk, Exchange, LAN, or Servers, you are OK with stepping up because it helps further your career and helps you grow in the field you love. But some companies abuse the "All other duties as assigned" in your contract and force you to work in fields that will actually hurt your career progression (no offense, we all have to start somewhere). There is no need for that clause in your contract to have you work additional tasks, most of us would gladly on a temporary basis, especially if there is an opportunity for fair compensation if said tasks beyond your original contract duties become permanent. And I know some of you are saying Jimmy should just get a new job and move on. Everyone's situation is different. Maybe Jimmy has three kids with a fourth on the way and needs the stability given at Shaft-U, even if that means he has to work 80+ hours a week. Maybe Jimmy is living with his in-laws that drive him nuts and he'd rather be working 80+ hours a week just to stay out of the house. Either way, the problem isn't the employee, the problem is the company to make such wide sweeping clauses in employee contracts that can be easily abused. Ok, thats all. Sorry for the long rant. Please leave a comment down below if you have an opinion. Thanks for reading.